Somewhat overlooked upon its initial release in 1995, John Carpenter's In the Mouth of Madness has since developed a healthy cult reputation. But far more than simply a fan favorite, this closing installment of the acclaimed director's self-described "apocalypse trilogy" (following The Thing and Prince Of Darkness) stands today as one of his most thematically complex and stylistically audacious pieces of work. The story of an insurance investigator drawn into the supposedly fictional universe of a best-selling horror novelist, the film is an extension of many recurring themes found in Carpenter's filmography (the end of the world, the loss of free will, a distrust of mass industry and global corporations, the cataclysmic resurgence of ancient evil), as well as an affectionate homage to the works of H. P. Lovecraft (and horror literature more broadly) and a self-reflexive celebration of the horror genre that predates the Scream-inspired postmodernist boom of late-'90s genre cinema. While numerous books and countless academic essays have been written about Carpenter's work, surprisingly little has focused exclusively on In the Mouth of Madness, a film which feels more prescient, more essential, and more daringly complex than ever. This book seeks to redress this imbalance, at last positioning this overlooked masterpiece as essential Carpenter. 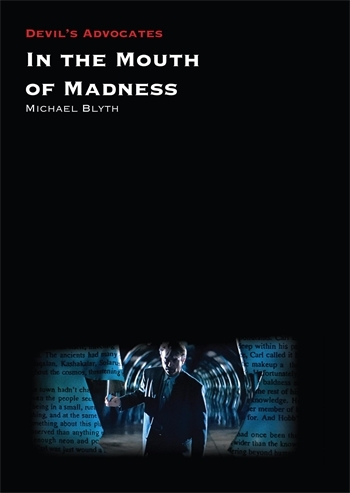 This is the debut book from Michael Blyth. Michael is a programmer for the London Film Festival and Flare: London LGBTQ+ Film Festival.